Home » Bruno Mars » Grand Lotto 6/55 » I wanna be a billionaire, so freakin' bad! I wanna be a billionaire, so freakin' bad! Bruno Mars is an inspiration, lol. I put on my jacket, grabbed my cap including an umbrella just in case fistful of rain would come my way. I headed straight to a nearby lotto outlet, I'll buy ticket. 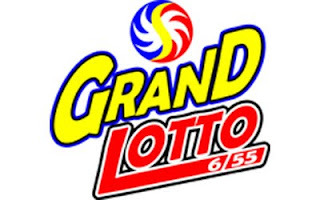 Grand lotto 6/55 will be drawn later tonight. I am one of those, taking chances and longs for the prize money. Today's draw will be the biggest pot money ever to be given to a winner in the history of Philippine lotto, a whopping Php 383,405,230.40. I can't even imagine how to spend it but ofcourse I'll worry it later when I'll be named the winner, lol yeah fat chance. Oh come on now don't give me that look. I'm starting betting just because I want to be in the league of Senators Escudero, Revilla, Recto and Zubiri, lol. But seriously who won't say no for a million, the fact that it's legal and the good thing you are sharing equal luck as the others. Accept it; it's really hard making money these days. Like even working very hard still it's not enough, so the opportunity of having it with just pure luck, why not. I bought two combinations 2 5 7 11 25 27, a combination that is all about me in numbers and the second combination is 15 27 39 45 48 53, a random selected sequence after hearing senator Zubiri that it is wise to go for a higher number, so that's it, I tried to be wise, lol. After betting I went home, the rain started falling? Was it a bad omen? I just put it behind and hum with Jazon Mraz, Lucky. Oh by the way, I leave you with this song Billionaire, by Travie McCoy featuring Bruno Mars. Today is my 3rd time to buy a ticket. I want to be a millionaire too! Thanks nicquee for dropping, I too, bought advance ticket for Saturday's draw. Goodluck sa atin, balato pag kaw nanalo hehe.